hosted by Housewife on a Mission and sponsored by Curasanas! 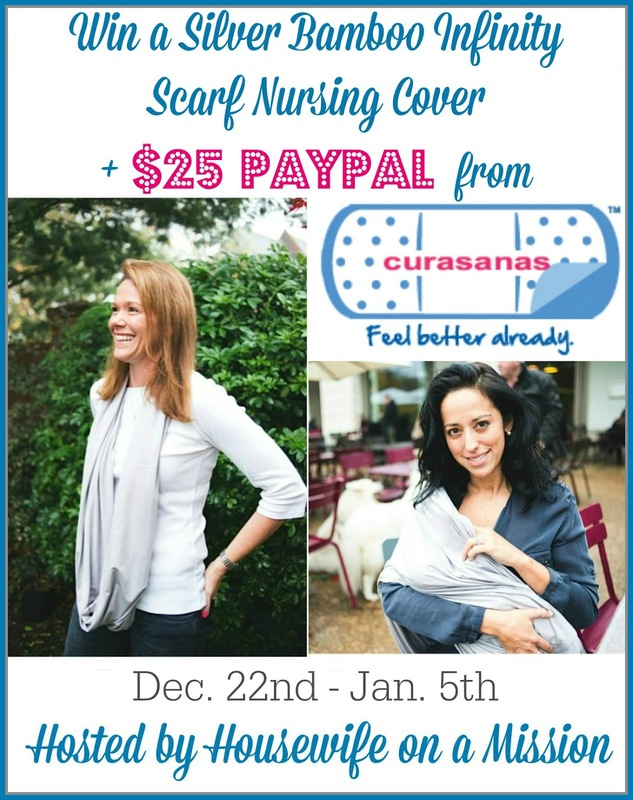 With this cold winter weather, we have a really great giveaway of a silver bamboo infinity scarf from Curasanas, that one of our readers are going to love winning, especially if they are a breastfeeding mama! Not only is this scarf great with almost any outfit, it is also perfect for wrapping and hiding your little one while breastfeeding– all while comfortably cuddling in a cashmere-soft material close to mom! Cashmere-soft with a lovely drape and sheen, bamboo rayon also makes this wider, stretchier scarf naturally thermal regulating, anti-bacterial and hypo-allergenic — all so wonderful for both mom and baby. Made of 95% Bamboo Viscose, 5% Spandex. Do you have a little one that you would love to cover while breastfeeding, with this beautiful nursing scarf? Maybe you know a mom-to-be, this would be a great baby shower gift! Maybe you’re not pregnant or breast feeding at all and would just love to wear this infinity scarf as is… I know I do! These are so awesome and versatile. You can have it ready for your nursling when you need it without carrying anything extra. Connect: Be sure to stay connected with Curasanas on Facebook, Twitter, and Pinterest. 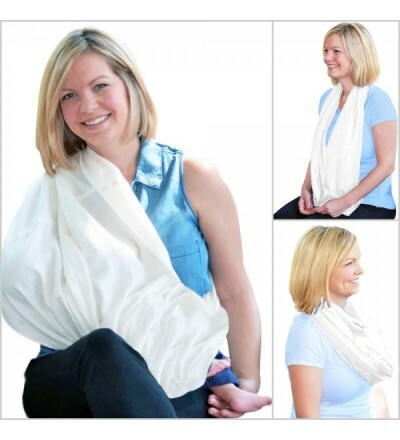 Win It: One of our readers are going to win a Silver Bamboo Infinity Nursing Scarf AND $25 PayPal! Previous post: Soniclear Sonic Skin Cleansing System! My New Love! I would love to win this for my sister-in-law who is having her first baby in July! If I win, I will keep this for myself. I’m due in 3 weeks with my first child, and I don’t have anything like it yet.